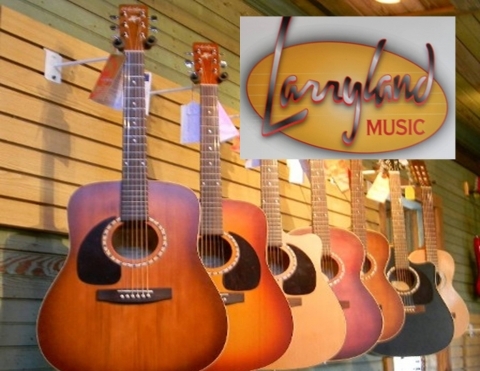 Larryland Music offers a great selection of guitars and other instruments for the musician in your family. Larryland Music Store, located in Bastrop, has been an outstanding resource for musicians since 2011. Inside our cozy 1800s building, you’ll find an extensive inventory of electric and acoustic guitars, mandolins, violins, banjos, fiddles, drums, and much more. New, used, or vintage — you’ll be able to find the right instrument for you. There’s also an assortment of amplifiers and musical accessories as well. As Larry likes to put it, “We carry new, used, and consignments, and we buy, sell, or trade just about any instrument you have.” If Larryland doesn’t have what you’re looking for in stock, oftentimes we can order it on the spot.